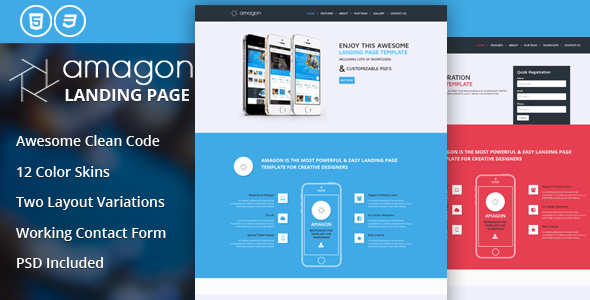 Amagon is clean and flat landing page template ready to use as a landing page for any type of products. 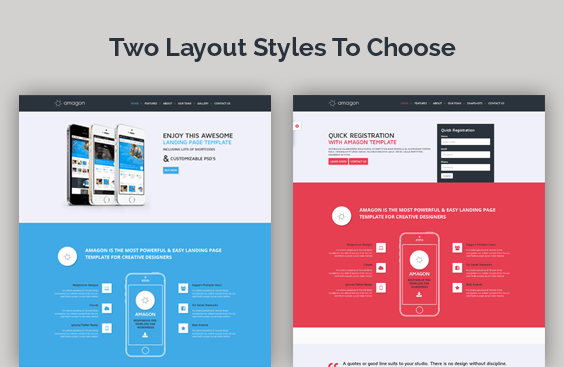 We provided this with 2 alternate page variation and 12 predefined color skins. This is build with latest bootstrap version. Lots of shortcodes and loaded with CSS3 animation. Note: images used on the demo are not available in the final files.